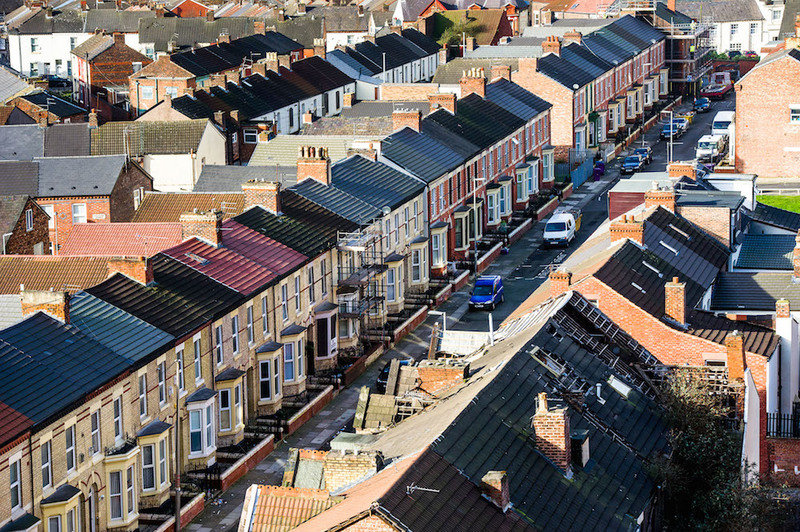 Thanks to a £260m regeneration project in Anfield, Liverpool, more than 600 new homes have been built in the area and 600 existing properties refurbished. Claire Clutten speaks to Dave Litherland at Your Housing Group and Ben Ormsby at Keepmoat about the ambitious programme, which is helping deliver a brighter future for Anfield. Above: Mark Tattersall, former chair at Your Housing Group with Rockfield Road in Anfield resident Nikki Leech. Anfield is home to one of the top football clubs in the UK and is currently undergoing a revival thanks to a massive investment programme. The area has witnessed a significant amount of change over the last two decades. The Anfield Regeneration Project — a pioneering partnership between Liverpool City Council, Your Housing Group, Liverpool Football Club and Keepmoat Homes — is breathing new life into the area, which extends much deeper than bricks and mortar improvements. In big cities, urban areas can fall into decline for various reasons. Anfield is densely populated with pre 1919 terraced homes. By the late 1990s early 2000s, terraced back of pavement houses, prevalent in many northern cities and towns, began to wane in popularity. In Anfield, many of these properties had fallen into serious disrepair, with a number vacant and boarded up. The street scenes were far from idyllic. Local residents cited a number of other issues too, including a lack of parking, amenity space and children’s play areas, as well as poor shopping facilities, and the additional pressures that only surfaced on match days. In 1999, Liverpool Football Club sought to expand its stadium. The City Council and the then Liver Housing Association worked together on potential urban renewal plans, which could facilitate a stadium expansion, and carried out a community consultation exercise to garner feedback from residents. There was a huge outcry amongst locals to the plans, as people felt as though they were ‘having the work done to them, not with them’ and as a consequence, the proposals foundered. Such was the strength of public feeling in the area at the time that a number of residents’ groups mobilised and a community plan was mooted, which took several years to develop. Anfield is densely populated with pre 1919 terraced homes and by the late 1990s many had fallen into serious disrepair. In the original plans, the proposals were to knock down approximately 200 homes around the stadium to facilitate its expansion. The community plan identified somewhere in the region of 1,400 properties to be demolished and these were all away from the stadium. The lounge and dining area in one of the converted properties. In 2012 Your Housing Group was created following the merger of Harvest Housing Association and Arena Housing Group, with Brian Cronin as Group Chief Executive. The following year, Liverpool Football Club changed hands and Liverpool City Council appointed a new Mayor, Joe Anderson, who identified Anfield as a priority area. Dave says: “The three organisations got together and said why can’t we work together, we all want Anfield to be a better place. The football club said, if you can get some certainty on the housing, we want to work with you on the plan to improve the area. Revitalising the Anfield Village and Rockfield areas to provide ‘safe, secure, sustainable residential neighbourhoods, conducive to community life’ was the genesis of the Anfield Regeneration Project. The four partners agreed roles and responsibilities and spoke candidly to the community, admitting they’d got it wrong, apologising to residents for all the turmoil and uncertainty they had endured. It was essential to rebuild trust within the community for the regeneration project to be a success. Another residents’ consultation took place and 80% of those consulted said they were happy with the new plan the partners had devised. A commitment was made to resolve the key issues and each organisation within the partnership put up substantial resources towards turning the area around. The £260m programme, which is ongoing, includes £72m of new housing, the demolition of derelict properties, the restoration of neighbouring Stanley Park, as well as the construction of Four Oaks Primary School and Mere Lane Health Centre. Your Housing Group has invested more than £23m into developing 161 new homes for private rent and shared ownership and regenerating 27 homes for affordable rent. Dave says: “We got to work very quickly on two show homes to show how the older properties could look once refurbished. We knocked a couple of ‘two up and two down’ properties in together to create a large three-bedroom house with more space and a garden, allowing residents to see how they could live there, which was really well received. We started to improve some of the worst properties in and around the football club area, so all of a sudden, people could see something good was happening and that gave them confidence. The housing association had previously bought properties from homeowners in Tancred Road in the Rockfield area to avoid speculators coming in, which back in 1999 were largely empty, due to civil unrest. Your Housing Group worked with a private developer to improve the properties for sale. These properties were sold at a peak in 2005/6 for £150,000 only for the credit crunch to hit leaving homeowners in negative equity. People who bought the properties paid a high price — considerably more than the homes are worth now — and as a consequence felt trapped. The project failed, the developer defaulted and the housing association bought back the properties — an expensive hit. Your Housing Group has since completely regenerated Tancred Road and it now looks lovely — the street scene barely recognisable from what it was over 10 years ago. 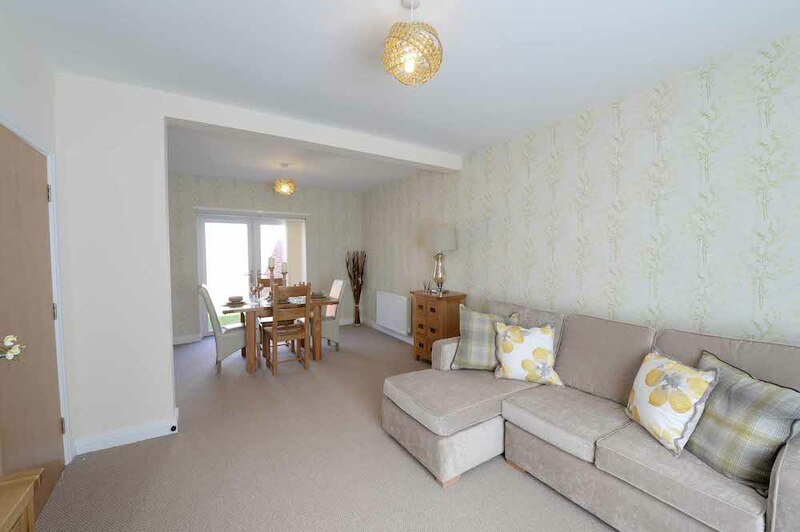 All the properties have either been re-let through shared ownership or sold. Andy Denton, Head of Land and Partnerships at Keepmoat Homes, comments: “Our role in the partnership has been focused on delivering much needed new housing to the area. To date we have completed over 500 homes for both affordable tenures in partnership with Your Housing Group and also for private sale, increasing home ownership in the area. Phase four of our development is nearly complete and the final fifth phase, a further 86 new two-, three- and four-bedroom homes, is underway. Homebaked says it is ‘proposing to regenerate our high street brick by brick and loaf by loaf’. The community land trust saved the local neighbourhood bakery, which straddles the border between Anfield and Everton and now it’s thriving, supplying the famous ‘Scouse’ pie to the football club on match days. The CLT trains and employs local people on a living wage at the bakery and uses only local producers and suppliers. Any profits made are reinvested in the local community. The Homebaked concept embodies the community land trust spirit, reflected by the Anfield Regeneration Project, which is about creating opportunities for local people and a place people are proud to live, work and support. The Anfield regeneration partnership is not just investing in homes but investing in people, striving to create a vibrant sustainable Anfield with a brighter future, which, like the football club, seems to be on an upward trajectory. The partners may have made mistakes along the way, but they’ve been honest about them and despite government funding being withdrawn at a crucial part of the process, they’ve persevered. The local community has faced many hardships along the way, but now, finally, they are seeing the positive face of regeneration. The brickwork on the properties has been restored to its former glory, the wide streets have been landscaped and Anfield is an area definitely on the ‘up’. A book produced by project architects and designers, Halsall Lloyd Partnership, details the vision behind the regeneration masterplan, the key objectives, challenges and opportunities. Seeing the photos of the area before work commenced and walking round Anfield now, the difference is incredible. The football club has an expanded stadium, a new fan zone and merchandise shop. The beautiful Victorian properties have been restored. There are now new shopping facilities and amenities, plus plans to build a new hotel and business centre in the pipeline as part of the final phase of works. The 111-acre Stanley Park boasts the Isla Conservatory, a pretty Grade II listed Victorian conservatory used as a venue for community events and weddings, which now also hosts career fairs to make local people aware of the training and employment opportunities available. Wayne Hemingway of Hemingway Design has worked with Your Housing Group to develop a new marketing brand — ‘Anfield is’ — to entice people back to the area. In HLP’s guide it talks about ‘bringing you a brighter future’. That certainly seems to be true for Anfield.